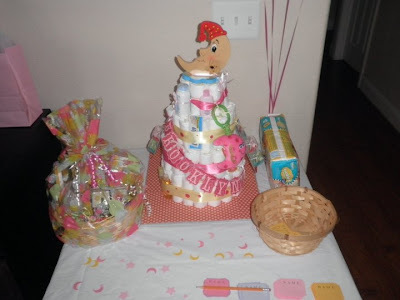 Paper Crafts by Candace: All baby shower items on 1 post! 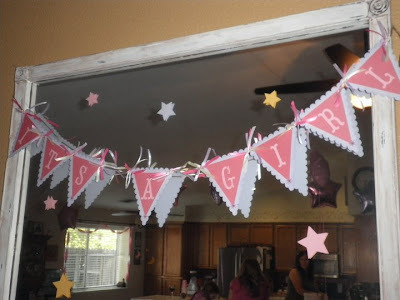 Now that the baby shower is over I decided to post all things baby shower in 1 post. 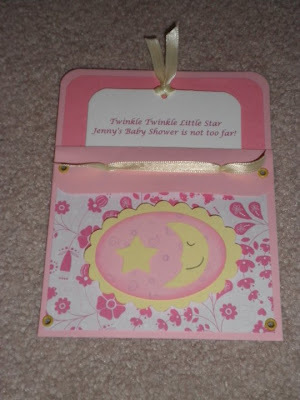 Invitations, the white part pulls out and has all the details on it. 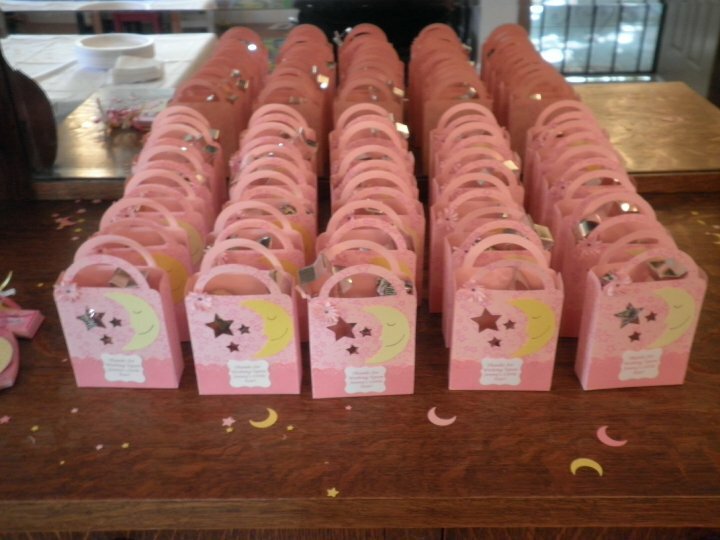 Favors! Filled with star and moon cookie cutters, starbursts and milky ways. 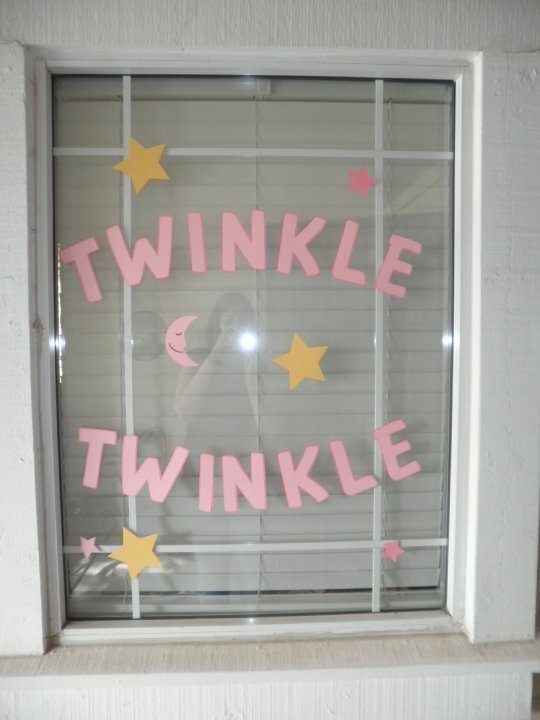 This is on the window outside right by the front door. 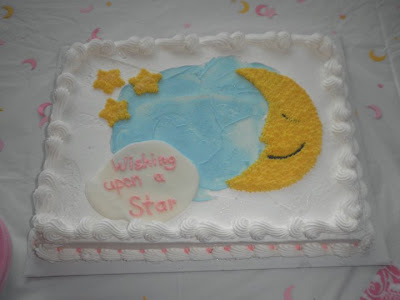 Cake made by my mother in law, recognize the moon? She used the moon from New Arrival as a template. Keepsake, this has 25 plain onesies behind it which everyone wrote a message to my sister in law on. Decorations that hung over the food table, cake table and over an entry way. Diaper Cake! Notice all the confetti sprinkled around. 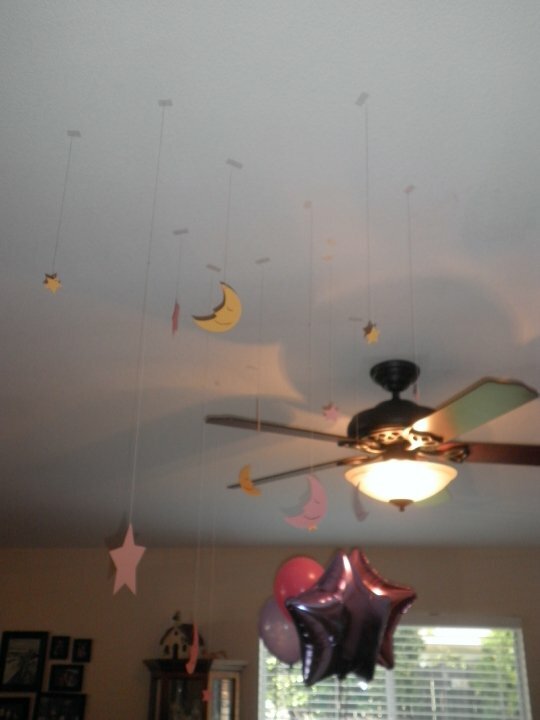 My nephew punched all that out while my sister in law and I were doing the favors one night. What an awesome Baby Shower!!! everything is wonderful! Oh my GOSH Candace!!! This must have taken you just HOURS!! It's so wonderful and what a beautiful baby shower, all the personalized touches are so sweet, definitely worth the work!!! Oh my word!!! 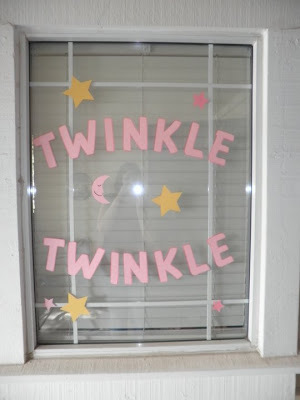 This is so awesome:) I have a baby shower to host tomorrow, so you have given me even more inspiration to put the Cricut to work. 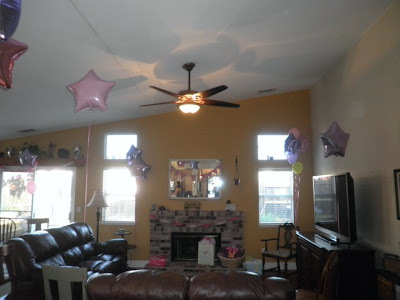 Everything is amazing, your really know how to spoil a mom and make her feel special.... because she is! Great job Candace.